Are you moving to Ireland to connect with your ancestral roots, for its beautiful hilly and mountainous landscapes or for its rich culture and history? To ensure your overseas relocation is as smooth as butter, trust the professionals at Simonik Moving & Storage to haul your belongings across the Atlantic with ease and efficiency. Since 1977, our professionals have been some of the most trained, experienced and skilled individuals in the industry, so rest assured knowing your move from New Jersey to Ireland is in capable hands. As a BBB-accredited business and an award-winning agent of Allied Van Lines, we have access to some of the most cutting-edge resources. Because of this, we can efficiently haul any-sized load to any location. 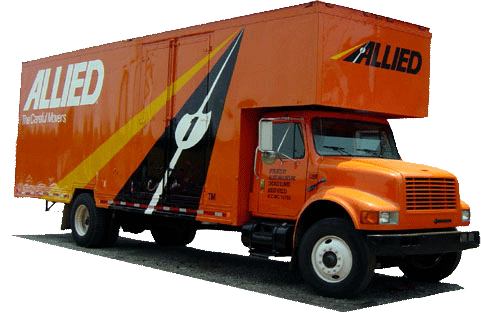 As an added bonus, our partnership with Allied gives us access to a global network of hundreds of moving and storage professionals, so we have movers on the ground in almost every country. If needed, Simonik can provide short-and-long-term storage for your household items. We will securely pack them in containers designed for international shipping, and stow them away in our temperature-controlled state-of-the-art warehouse facility. With advanced security and sprinkler systems, rest easy knowing your valuables are safe during your move from New Jersey to Ireland. We service households throughout North Jersey. The counties of Hunterdon, Mercer, Middlesex, Monmouth, Morris and Somerset are among the areas we serve. In addition to being a past recipient of the “Mover of the Year” award from the New Jersey Warehousemen & Movers Association, Simonik is also a Registered International Mover. Because of this, you can be confident that we are able to handle any of your international moving needs! For an unparalleled moving experience, contact one of our NJ to Ireland moving specialists today. Call Simonik Moving & Storage now or fill out our online form to receive your free estimate!